hlAVCANatni ^ Integrated air traffic management Proven. Trusted. Applied. 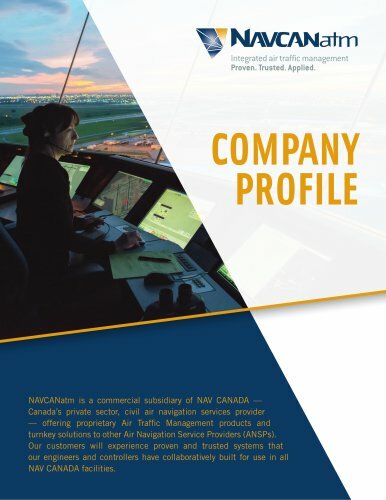 NAVCANatm is a commercial subsidiary of NAV CANADA Canada's private sector, civil air navigation services provider — offering proprietary Air Traffic Management products and turnkey solutions to other Air Navigation Service Providers (ANSPs) Our customers will experience proven and trusted systems that our engineers and controllers have collaboratively built for use in all NAV CANADA facilities.